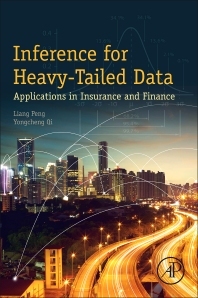 Heavy tailed data appears frequently in social science, internet traffic, insurance and finance. Statistical inference has been studied for many years, which includes recent bias-reduction estimation for tail index and high quantiles with applications in risk management, empirical likelihood based interval estimation for tail index and high quantiles, hypothesis tests for heavy tails, the choice of sample fraction in tail index and high quantile inference. These results for independent data, dependent data, linear time series and nonlinear time series are scattered in different statistics journals. Inference for Heavy-Tailed Data Analysis puts these methods into a single place with a clear picture on learning and using these techniques. 3. Multivariate Regular Variation: Recent research on hidden regular variation, functional time series. Dr Yongcheng Qi is based at the Department of Mathematics and Statistics at the University of Minnesota, USA.